​The quality and availability of data has become an international priority highlighted by the call for a data revolution in the 2030 Agenda for Sustainable Development. 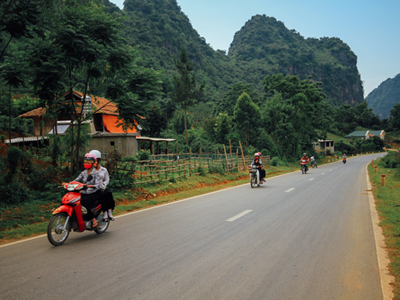 Researchers and policy makers have responded to this call in the Vietnamese context through the Viet Nam Access to Resources Household Survey (VARHS). It provides deep insights into how rural households are doing and how they coped through a major economic transition during 2006-14. In economic terminology, the VARHS represents a truly unique balanced panel survey of the changing life and work of rural families across the country. 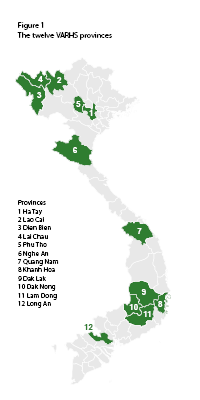 In this way, it provides a strong tool for gaining detailed and policy-relevant information about the economy and society of rural Viet Nam. This includes an extensive number of ethnic and poor rural households that have been relatively excluded from traditional growth processes. The overall living conditions of rural households in Viet Nam have improved in absolute terms from 2006 to 2014. While the changes and improvements in living conditions that have taken place over the period are substantial, on the ground, 2014 bears many similarities to 2006. Agriculture continues to be the dominant occupation with more than 90% of households working in the sector. Rice remains the most important crop, though increasingly commercialized. While poorer households grow more rice than in the past, only half sell in any given year due to self-consumption, which has risen. Aquaculture, other services, construction and other occupations, such as transport and manufacturing, have gained in importance. VARHS puts focus on four key dimensions of household access to resources and associated institutional developments: land and land markets, labour and migration, technology and innovation, and social capital and political connections. These play a crucial role in production efficiency in agriculture as well as in how households respond to the socioeconomic and institutional environment. 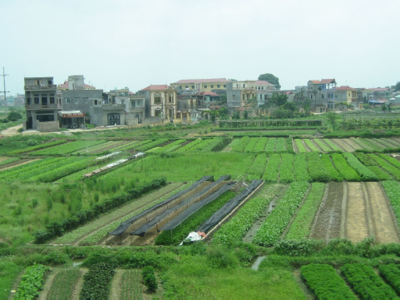 Landlessness remains low in Viet Nam and is positively related with income. Landlessness is not associated with poverty. However, land is fragmented and more needs to be done to promote market-based transactions. Land sales market activity is, as a whole, stagnant, with more activity in the Central Highlands than elsewhere. There is opportunity to promote land markets, especially in light of increases in land rental markets. Viet Nam sees significant movements of household members within and between provinces, with around 20% of interviewed households having at least one member who has migrated. Better-off households are more likely to migrate, pointing to constraints for poorer households. In line with global trends, there has been a rapid increase in the ownership of mobile phones and computers, and in internet access. Despite overall uptake, rural households surveyed lag behind the national average and those without phones are much more likely to be female-headed, poor, and less educated. Social capital helps provide security, with family ties playing a core role, and with membership in the Communist party being strongly and positively associated with household income. Social and economic policies that promote fair, predictable, and transparent socioeconomic principles continue to be of critical importance. Inclusive progress can only be achieved by addressing ongoing challenges. Notable factors that influence improvements in household welfare are education and the presence of migrants in the household. In contrast, belonging to an ethnic minority is significantly associated with smaller increases in food consumption and income. More needs to be done to make sure no one is left behind. While the welfare of female-headed households has improved over time, they continue to be worse off and more vulnerable to income shocks than male-headed households. Similarly, while strong gains have been made in the welfare of children, discrepancies exist most notably in educational outcomes, between minority and non-minority groups. Viet Nam’s efforts to boost gender equality and address the ethnicity gap must continue to be a priority if the country is to reduce discrepancies in the future. Environmental concerns are also evident. Commune leaders expect climate change to become an important problem in the years to come. Speeding up development and the flexibility of the economy appear to be the best available adaption policies to protect against potential shifts due to climate change. Viet Nam’s recent experiences make the country a highly relevant example to study for other developing countries. Some decades ago Viet Nam had an economic structure comparable to that of many African countries today. Since then much has been achieved in this still relatively poor, yet dynamic Southeast Asian country. Aggregate economic growth has allowed the country to significantly reduce poverty. An active macroeconomic policy stance has buffered against the global financial crisis, and the country has managed the transformation process well.